The greater Philadelphia region offers a wide variety of rugby teams, clinics, and camps for boys and girls, both beginners and experienced athletes. Many youth rugby clubs are supported by and coached by former and current players. Philly Women's Rugby can help you or your child find a team that's right for you! PA United Rugby, based out of Conshohoken, PA, welcomes girls 6th-12th grade and draws athletes from many local clubs. Practices are held on Wednesday evenings from 6:00 - 8:00 p.m. in Conshohoken. PA United plays 7s in the fall and 15s in the spring. 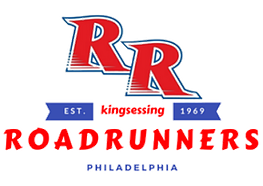 Kingsessing Recreation Center in West Philadelphia is home to the Road Runner Rugby program, which introduces rugby to kids of all ages at various times through the summer. Philly Girls in Motion delivers fitness and athletics programs for girls through the City of Philadelphia’s schools and community centers. The goal is to get girls moving, and to teach them about healthy nutrition, exercise and positive body image. PWRFC has had enjoyed introducing the fundamentals of rugby to girls through a series of indoor sessions at the EOM in South Philadelphia. Find a boys or girls high school program near you! Rugby Pennsylvania Inc. is a 501(c) (3) non-profit corporation, organized in 2012 to act as a State Rugby Organization under the auspices of USA Rugby, the national governing body for the sport of Rugby Union in the United States. As the officially recognized State Rugby Organization for the Commonwealth of Pennsylvania, Rugby Pennsylvania is the exclusive organizer and administrator of youth and high school rugby within the Commonwealth of Pennsylvania.